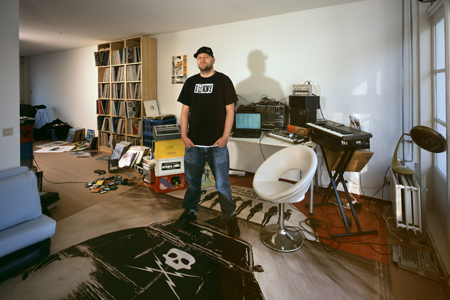 DJ Overdose started freaking around with turntables and mixers in 87, and a few years later began producing his own tracks when he bought his first and favorite sampler the EMU SP12. DJ Overdose collaborates with DJ Technician as Get It Boyz, with Ingmar Pauli as Novamen and with Alden Tyrell as The Hasbeens and did some remixes with I-f as Los Muchachos Gruesos. His first releases were on the well known local The Hague labels, Bunker and Murder Capital/Viewlexx, now releases come out all over the world. His latest releases are under the "Model Man" moniker. He has played liveshows with I-f and Alden Tyrell at festivals like Sonar (Spain), Aquaplanning (France), Awakenings and Lowlands (The Netherlands) and did three U.S. and Canadian tours as Novamen where they played several cities plus the Detroit Music Festival amongst other things. He is now working on DJ Overdose, Model Man, The Hasbeens, Novamen and Get It Boyz projects.